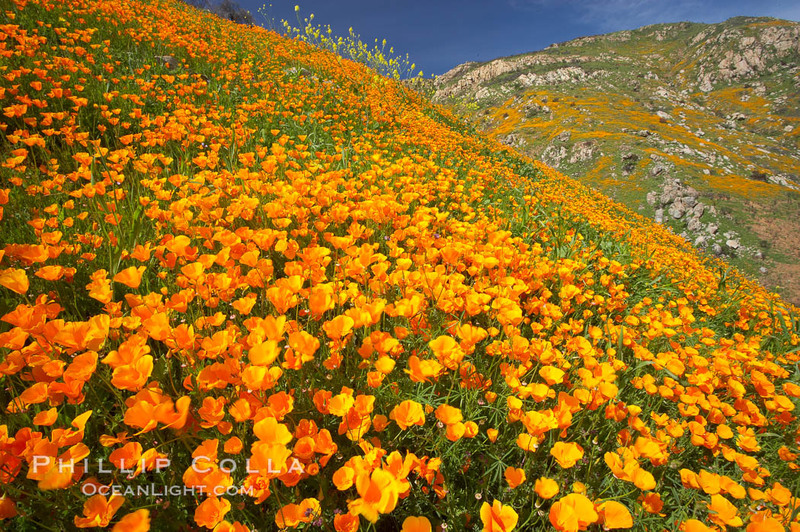 California poppies (Eschscholzia californica) have been blooming all over the place in the San Diego area, courtesy of the terrible wildfires last fall and the perfectly spaced rainfall of the last two months. Here is a hillside that was burnt in October, now coming alive with spring color. My friend turned me on to this little spot.